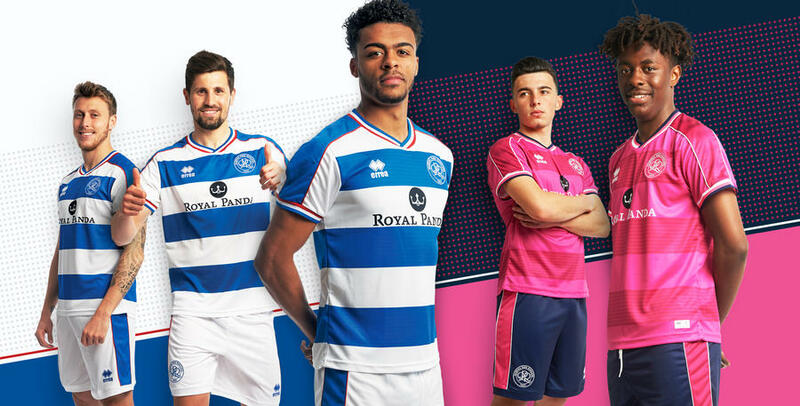 QPR’s new kits for the 2018/19 season have been unveiled – and will be available to purchase in-store and through mail order from tomorrow (Saturday). The unique designs have been created through a collaborative creative process between the club and our kit supplier, Erreà. The home shirt could be described as a ‘classic with a twist’. 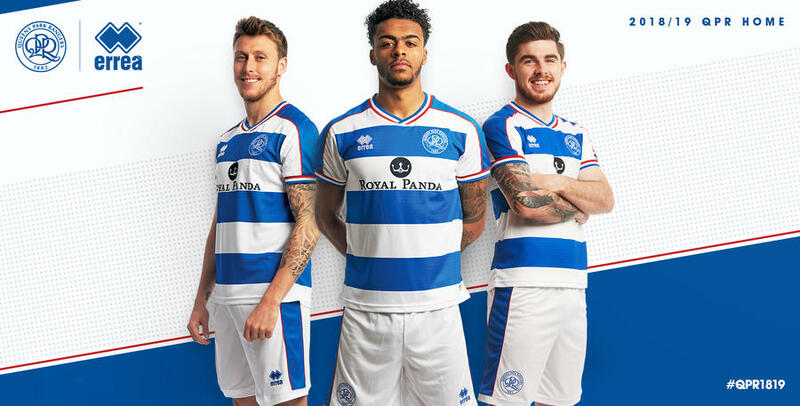 It has the broad blue and white hoops that R’s fans expect but with an added touch of colour, with the red sleeve piping and three-colour collar and cuffs. In addition, the Royal Blue hoops contain a tonal pinstripe effect which is as subtle as it is effective. Combine all that with Erreà’s renowned Mundial fabric and you have a shirt for R’s fans to be proud of. 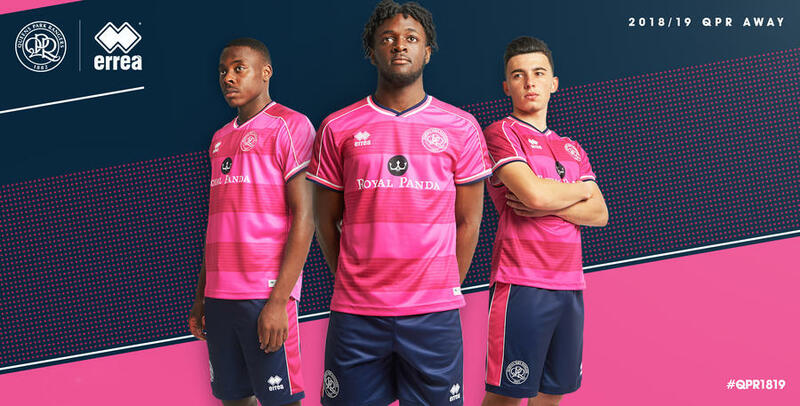 The away shirt reflects the design of the home but in Fuschia Pink, with the famous hoops being created by groups of darker pink stripes. The tricolor trims have once again been added, which give both shirts a retro feel and, as with the home shirt, the detailing on the inside of the collar adds an extra level of quality to an already perfectly-tailored shirt. 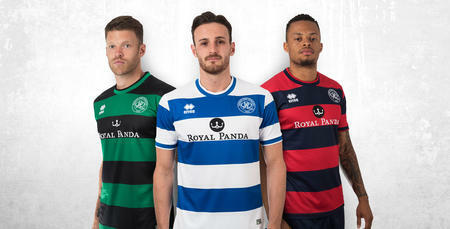 New QPR boss Steve McClaren told www.qpr.co.uk: “The QPR home kit is so iconic in English football. It’s a very recognisable and famous strip, and it has a real tradition about it. “I really like the kits for next season, home and away. 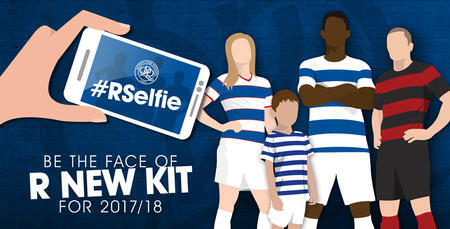 The kits will go on sale in the QPR Superstore from 10:00 am tomorrow (Saturday) with QPR players Joe Lumley, Ebere Eze, Ilias Chair, Aramide Oteh and Osman Kakay all set to be in attendance. For those of you who can’t get along, don’t worry – you can purchase yours through mail order.